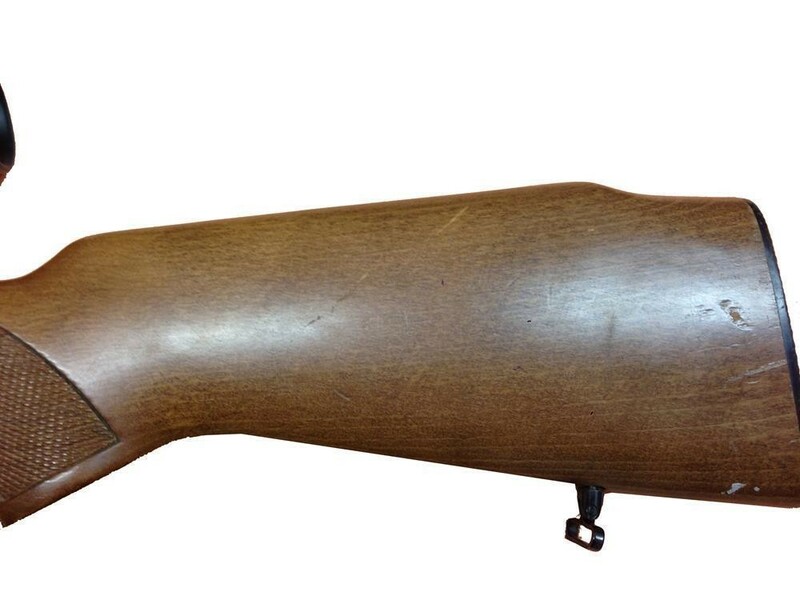 Lacquered timber stock on this original semi-auto rifle. 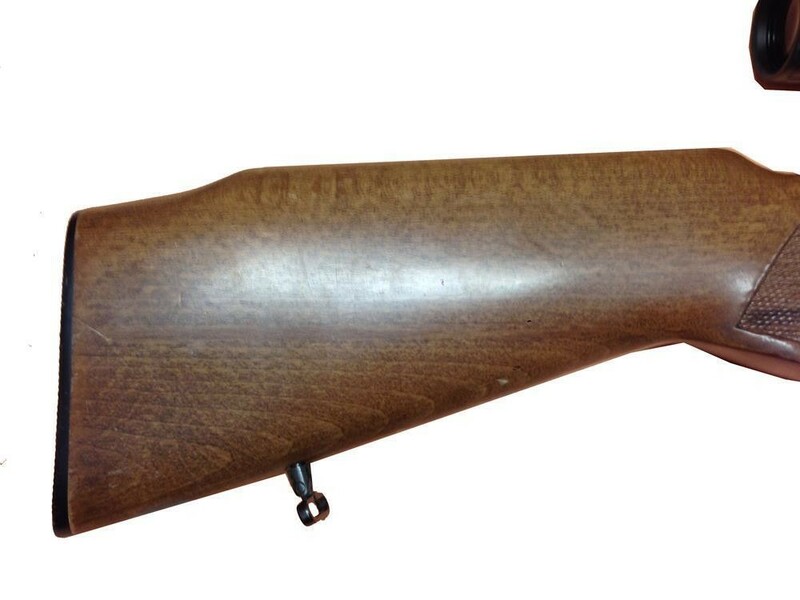 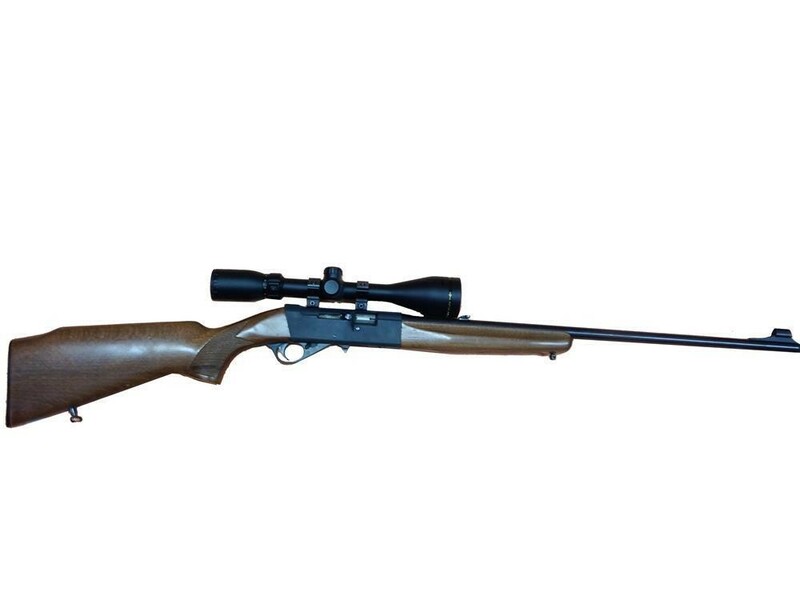 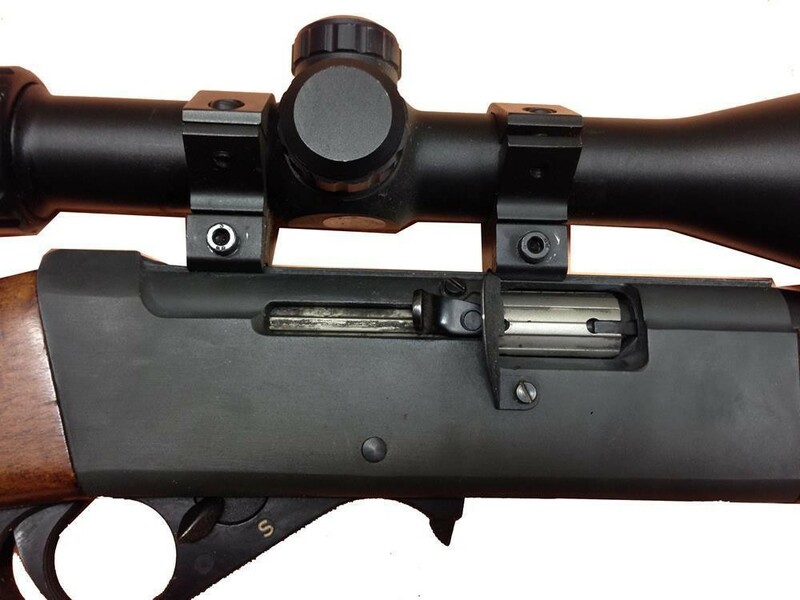 Blued 23" sporter weight barrel, screw cut 1/2" UNF. 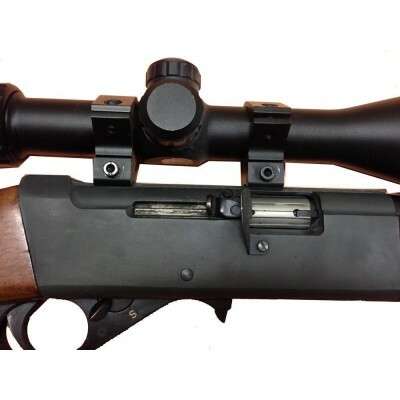 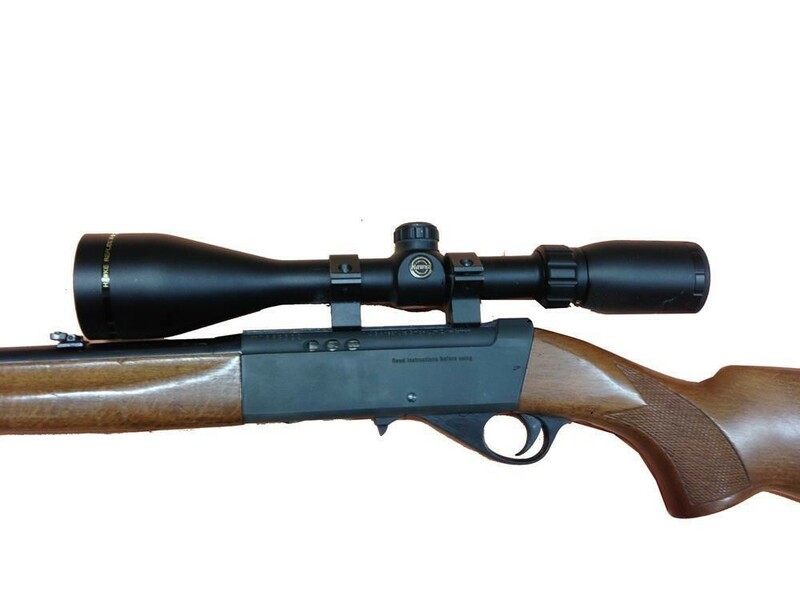 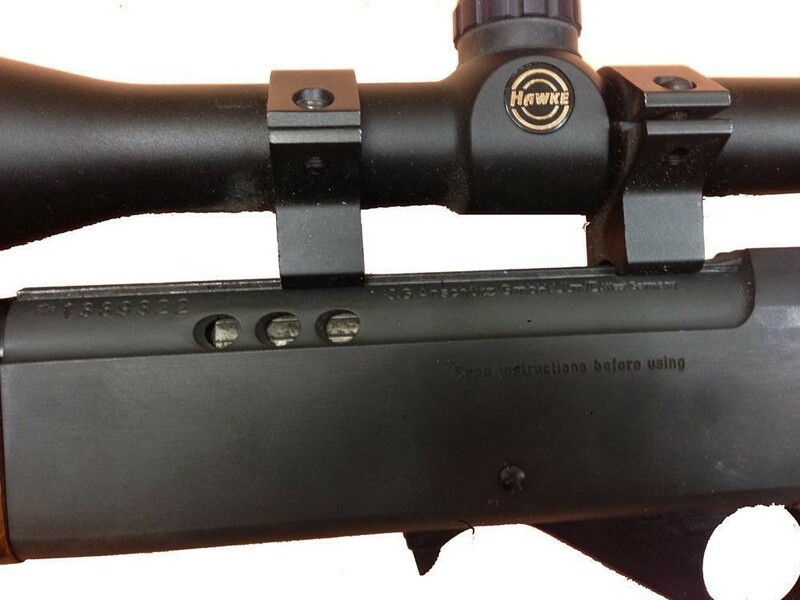 Very good condition all round and complete with Hawke 4-12x50 scope, swivel studs, Parker Hale sound moderator and 10 round magazine.